Lisbon (; Portuguese: Lisboa, [liʒˈβoɐ]) is the capital and the largest city of Portugal, with a population of 552,700 within its administrative limits in an area of 100.05 km². Its urban area extends beyond the city's administrative limits with a population of around 3 million people, being the 11th-most populous urban area in the European Union. About 3 million people live in the Lisbon Metropolitan Area (which represents approximately 27% of the country's population). It is continental Europe's westernmost capital city and the only one along the Atlantic coast. Lisbon lies in the western Iberian Peninsula on the Atlantic Ocean and the River Tagus. The westernmost areas of its metro area is the westernmost point of Continental Europe. Lisbon is recognised as a alpha- level global city by the Globalization and World Cities (GaWC) Study Group because of its importance in finance, commerce, media, entertainment, arts, international trade, education and tourism. Lisbon is the only Portuguese city besides Porto to be recognised as a global city. It is one of the major economic centres on the continent, with a growing financial sector and one of the largest container ports on Europe's Atlantic coast. Humberto Delgado Airport serves over 20 million passengers annually, as of 2015, and the motorway network and the high-speed rail system of Alfa Pendular link the main cities of Portugal. The city is the 7th-most-visited city in Southern Europe, after Rome, Barcelona, Madrid, Athens and Milan, with 1,740,000 tourists in 2009. The Lisbon region contributes with a higher GDP PPP per capita than any other region in Portugal. Its GDP amounts to 96.3 billion USD and thus $32,434 per capita, 40% higher than the average European Union's GDP per capita. The city occupies 32nd place of highest gross earnings in the world. Most of the headquarters of multinationals in the country are located in the Lisbon area. It is also the political centre of the country, as its seat of Government and residence of the Head of State. 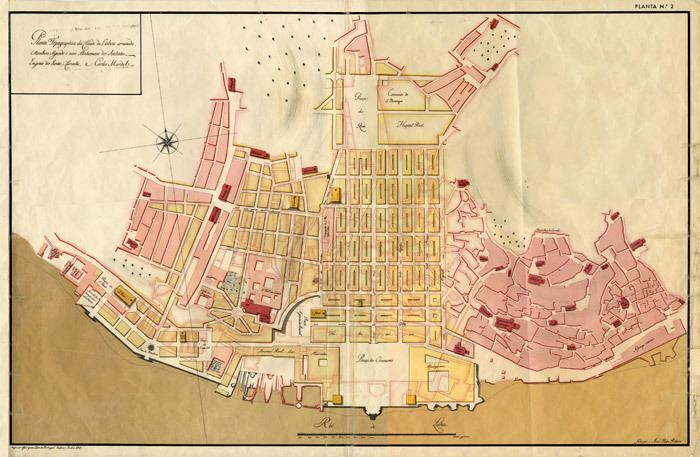 One claim often repeated in non-academic literature is that the name of Lisbon can be traced back to Phoenician times, usually referring to the supposed Phoenician term Alis-Ubo, meaning "safe harbour",. Lisbon's origin may in fact derive from Proto-Celtic or Celtic Olisippo, Lissoppo or a similar name which other visiting peoples like the Ancient Phoenicians, Greeks and Romans adapted accordingly. Roman authors of the first century AD referred to popular legends that the city of Lisbon was founded by the mythical hero Odysseus on his journey home from Troy. Although modern archaeological excavations show a Phoenician presence at this location since 1200 BC, neither of these folk etymologies has any historical credibility. Another conjecture based on ancient hydronymy suggests that the name of the settlement derived from the pre-Roman appellation for the Tagus River, Lisso or Lucio. Lisbon's name was written Ulyssippo in Latin by the geographer Pomponius Mela, a native of Hispania. It was later referred to as "Olisippo" by Pliny the Elder and by the Greeks as Olissipo (Ὀλισσιπών) or Olissipona (Ὀλισσιπόνα). Following the defeat of Hannibal during the Punic wars, the Romans determined to deprive Carthage of its most valuable possession: Hispania (the Iberian Peninsula). The defeat of Carthaginian forces by Scipio Africanus in Eastern Hispania allowed the pacification of the west, led by Consul Decimus Junius Brutus Callaicus. Decimus obtained the alliance of Olissipo (which sent men to fight alongside the Roman Legions against the northwestern Celtic tribes) by integrating it into the empire, as the Municipium Cives Romanorum Felicitas Julia. Local authorities were granted self-rule over a territory that extended 50 kilometres (31 miles); exempt from taxes, its citizens were given the privileges of Roman citizenship, and it was then integrated with the Roman province of Lusitania (whose capital was Emerita Augusta). The city prospered as piracy was eliminated and technological advances were introduced, consequently Felicitas Julia became a centre of trade with the Roman provinces of Britannia (particularly Cornwall) and the Rhine. Economically strong, Olissipo was known for its garum (a fish sauce highly prized by the elites of the empire and exported in amphorae to Rome), wine, salt and horse-breeding, while Roman culture permeated the hinterland. The city was connected by a broad road to Western Hispania's two other large cities, Bracara Augusta in the province of Tarraconensis (Portuguese Braga), and Emerita Augusta, the capital of Lusitania (Mérida, Spain). The city was ruled by an oligarchical council dominated by two families, the Julii and the Cassiae, although regional authority was administered by the Roman Governor of Emerita or directly by Emperor Tiberius. 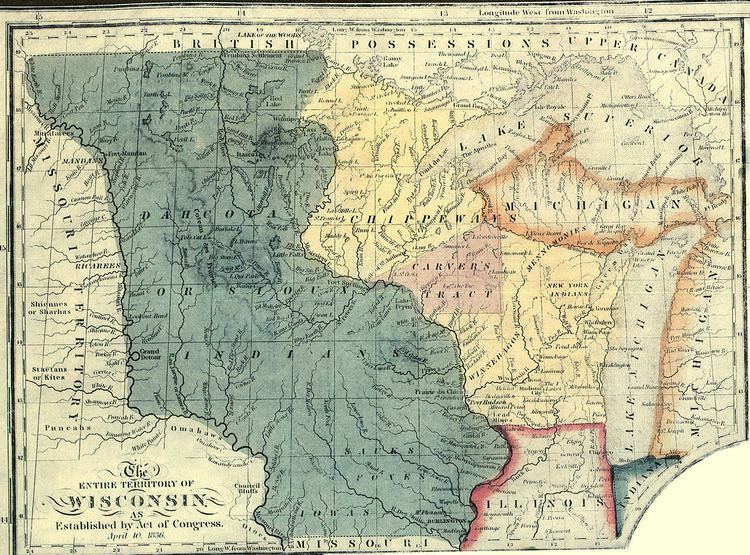 Among the majority of Latin speakers lived a large minority of Greek traders and slaves. Following the disintegration of the Roman Empire there were barbarian invasions; between 409 and 429 the city was occupied successively by Sarmatians, Alans and Vandals. The Germanic Suebi, who established a kingdom in Gallaecia (modern Galicia and northern Portugal), with its capital in Bracara Augusta, also controlled the region of Lisbon until 585. In 585, the Suebi Kingdom was integrated into the Germanic Visigothic Kingdom of Toledo, which comprised all of the Iberian Peninsula: Lisbon was then called Ulishbona. Portugal lost its independence to Spain after the succession crisis of 1580, initiating a sixty-year period of dual monarchy in Portugal and Spain under the Spanish Habsburgs. This is referred to as the "Philippine Dominion" (Domínio Filipino), since all three Spanish kings during that period were called Philip (Filipe). The Portuguese Restoration War, which began with a coup d'état organised by the nobility and bourgeoisie in Lisbon and executed on 1 December 1640, restored Portuguese independence. The period from 1640 to 1668 was marked by periodic skirmishes between Portugal and Spain, as well as short episodes of more serious warfare, until the Treaty of Lisbon was signed in 1668. Lisbon has been the site for many international events and programmes. In 1994, Lisbon was the European Capital of Culture. On 3 November 2005, Lisbon hosted the MTV European Music Awards. On 7 July 2007, Lisbon held the ceremony of the "New 7 Wonders Of The World" election, in the Luz Stadium, with live transmission for millions of people all over the world. Every two years, Lisbon hosts the Rock in Rio Lisboa Music Festival, one of the largest in the world. Lisbon hosted the NATO summit (19–20 November 2010), a summit meeting that is regarded as a periodic opportunity for Heads of State and Heads of Government of NATO member states to evaluate and provide strategic direction for Alliance activities. Lisbon is located at 38°42′49.75″N 9°8′21.79″W, situated at the mouth of the Tagus River and is the westernmost capital of a mainland European country. Lisbon has a Mediterranean climate (Köppen climate classification: Csa) with mild, rainy winters and warm to hot, dry summers. The average annual temperature is 21.3 °C (70.3 °F) during the day and 13.5 °C (56.3 °F) at night. In the coldest month – January – the high temperature during the day typically ranges from 11 to 18 °C (52 to 64 °F), the low temperature at night ranges from 3 to 13 °C (37 to 55 °F) and the average sea temperature is 15 °C (59 °F). In the warmest month – August – the high temperature during the day typically ranges from 26 to 30 °C (79 to 86 °F), the low temperature at night ranges from 17 to 21 °C (63 to 70 °F) and the average sea temperature is 18 °C (64 °F). Rain occurs mainly in winter, the summers being generally dry. Sunshine hours are about 2,800 per year, from an average of 4.6 hours of sunshine duration per day in December to an average of 11.4 hours of sunshine duration per day in July. Locally, Lisbon's inhabitants may more commonly refer to the spaces of Lisbon in terms of historic bairros (neighbourhoods). These communities have no clearly defined boundaries and represent distinctive quarters of the city that have in common a historical culture, similar living standards, and identifiable architectural landmarks, as exemplified by the Bairro Alto, Alfama, Chiado, and so forth. The riverfront of Alcântara is known for its clubs and bars. The area is commonly known as docas (docks), since most of the clubs and bars are housed in converted dock warehouses. Belém is famous as the place from which many of the great Portuguese explorers set off on their voyages of discovery. In particular, it is the place from which Vasco da Gama departed for India in 1497 and Pedro Álvares Cabral departed for Brazil in 1499. It is also a former royal residence and features the 17th–18th century Belém Palace, a former royal residence now occupied by the President of Portugal, and the Ajuda Palace, begun in 1802 but never completed. The area is pedestrian-friendly with new buildings, restaurants, gardens, the Casino Lisbon, the FIL building (International Exhibition and Fair), the Camões Theatre, as well as the Oceanário de Lisboa (Lisbon Oceanarium), the second largest in the world. The district's MEO Arena has become Lisbon's "jack-of-all-trades" performance arena. Seating 20,000, it has staged events from concerts to basketball tournaments. In May 2018, the city will host the 63rd edition of the Eurovision Song Contest, after the victory of Salvador Sobral with the song "Amar pelos dois" in Kiyv on May 13, 2017. The historical population of the city was around 35,000 in 1300 AD. Up to 60,000 in 1400 AD, and rising to 70,000 in 1500 AD. Between 1528–1590 the population went from 70,000 to 120,000. 140,000 in 1600 AD, and almost 200,000 in 1700 AD. The Lisbon Metropolitan Area incorporates two NUTS III (European statistical subdivisions): Grande Lisboa (Greater Lisbon), along the northern bank of the Tagus River, and Península de Setúbal (Setúbal Peninsula), along the southern bank (these two subdivisions make for the Região de Lisboa (Lisbon Region). The population density of the city itself is 6,458 inhabitants per square kilometre (16,730/sq mi). 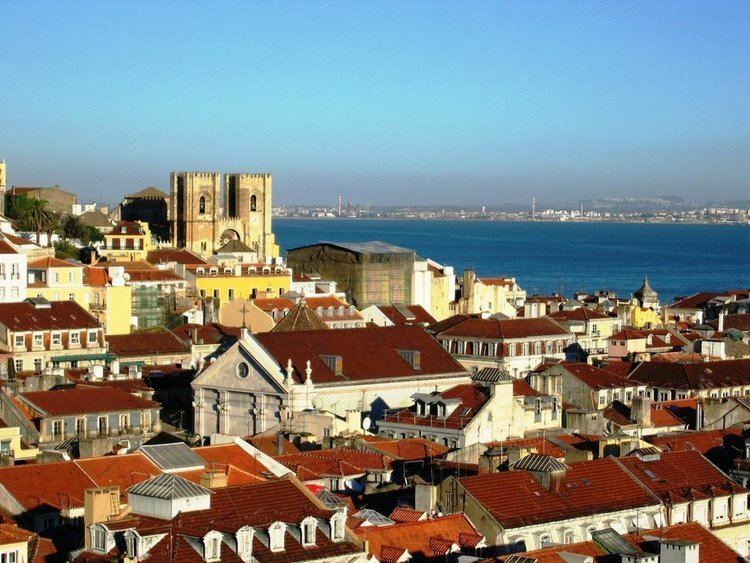 Lisbon has 552,700 inhabitants within the administrative center on the area of only 100.05 km². Administratively defined cities that exist in the vicinity of the capital are in fact part of the metropolitan perimeter of Lisbon. The urban area has a population of 2,666,000 inhabitants, being the eleventh largest urban area in the European Union after Paris, London, Ruhr area, Madrid, Milan, Barcelona, Berlin, Rome, Naples and Athens. 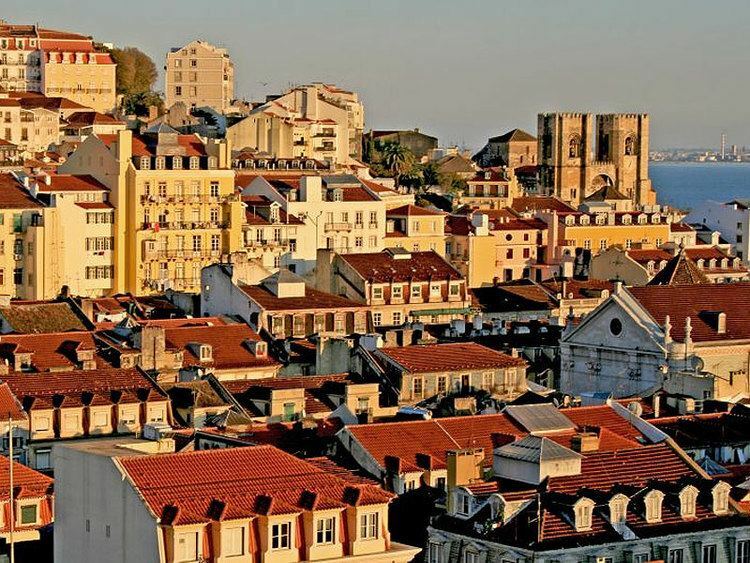 The whole metropolis of Lisbon (metropolitan area) has about 3 million inhabitants. According to official government data, the Lisbon Metropolitan Area has 3,121,876 inhabitants. Other sources also show a similar number, according to the Organisation for Economic Co-operation and Development – 2,797,612 inhabitants; according to the Department of Economic and Social Affairs of the United Nations – 2,890,000; according to the European Statistical Office Eurostat – 2,839,908; according to the Brookings Institution has 2,968,600 inhabitants. The Lisbon Metro is its main artery, connecting the city centre with the upper and eastern districts and now reaching the suburbs. Several expansion projects have been proposed. Bus, funicular and tram services have been supplied by Carris for over a century in the city and some places in Suburbs. A traditional form of public transport in Lisbon is the tram. Introduced in the 19th century, the trams were originally imported from the USA, and called the americanos. The earliest trams can still be seen in the Museu da Carris (the Public Transport Museum). Other than on the modern Line 15, the Lisbon tramway system still employs small (four wheel) vehicles of a design dating from the early twentieth century. These distinctive yellow trams are one of the tourist icons of modern Lisbon, and their size is well suited to the steep hills and narrow streets of the central city. The city has several private and public secondary schools, primary schools as well as Kindergartens. In Greater Lisbon area there are also international schools such as Saint Julian's School, the Carlucci American International School of Lisbon, Saint Dominic's International School, Deutsche Schule Lissabon, Instituto Español de Lisboa, and Lycée Français Charles Lepierre. There are two public universities and a university institute in Lisbon: the University of Lisbon (the largest university in Portugal), New University of Lisbon (founded in 1973) and ISCTE - Lisbon University Institute (founded in 1973), providing degrees in all academic disciplines. There is also a public polytechnic institute – the Polytechnical Institute of Lisbon. Major private institutions of higher education include the Portuguese Catholic University, as well as the Lusíada University, the Universidade Lusófona, and the Universidade Autónoma de Lisboa, among others. Lisbon has a long tradition in sports. It hosted several matches, including the final, of the UEFA Euro 2004 championship. The city also played host to the final of the 2001 IAAF World Indoor Championships and the European Fencing Championships in 1983 and 1992, as well as the 2003 World Men's Handball Championship, and the 2008 European Judo Championships. From 2006 to 2008, Lisbon was the starting point for the Dakar Rally. The city hosted the 2014 UEFA Champions League Final. In 2008 and 2016, the city hosted the European Triathlon Championships. The city hosts three association football clubs in Portugal's highest league, the Primeira Liga. Sport Lisboa e Benfica, commonly known as just Benfica, has won 36 league titles in addition to two European Cups. Lisbon's second-most successful club is Sporting Clube de Portugal (commonly known as Sporting being mistankenly referred to as Sporting Lisbon) in the English-speaking world, winner of 18 league titles and the UEFA Cup Winners' Cup. A third club, C.F. Os Belenenses (commonly Belenenses or Belenenses Lisbon), based in the Belém quarter, has solely won one league title. Other major clubs in Lisbon include Atlético, Casa Pia, and Oriental.